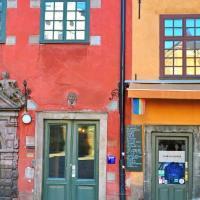 Discover Stockholm as you would if you were staying with a friend who lived there! With a like-minded Local Host by your side, explore the best know attractions as well as a few secret local spots along the way. Your private experience will be personalised to exactly what you want to see, but your local will also show you a few hidden gems they know you’ll love, and share travel tips and tricks so you can experience the city like a local and avoid the tourist traps, making the most of your time in Stockholm and giving you a unique insider’s perspective on life in the city. 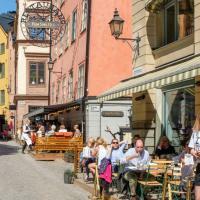 Choose the area you’d like to explore and get ready to kickstart your Stockholm trip! Follow the unique route which your Local Host has designed specifically to take in your chosen attractions, as well as including a few secret spots that you wouldn’t find in a guidebook. Stop to have fika or a beer at one of your Local Host’s favourite spots; somewhere that suits your preferences, budget and dietary requirements and that they know you’ll love. 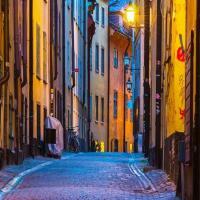 Your Local Host will also advise you on the best way to spend the rest of your trip, helping you to discover other areas of Stockholm that they know you’ll love, as well as sharing their local travel hacks so you won’t fall into the tourist traps! Our group of 4 had a fantastic 3 hour Stockholm walking tour with Pelle our local guide. It was so good having Pelle as our guide, who took us to several out of the way sights and unusual shops. The walking pace was as fast or as slow as we wanted, and there was plenty of time to take pictures. Pelle explained the history of Stockholm, and showed us how to use the ferries. We also had a great value lunch at a cafe that only the locals seemed to know about. Overall we considered it good value for money. Highly recommend her for your experience in the city. 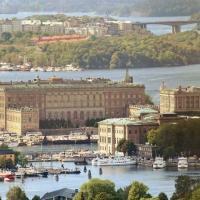 Excellent overview of Stockholm with local host Stefani. Very knowledgable, friendly host with a good sense of humour. Gave us a number of great tips on what to see and do for the rest of our stay. It was like I meet a good friend.It was more then beautiful places and informations...it was also the positive feeling which make the whole experience one of a kind. Thanks Stefanie!